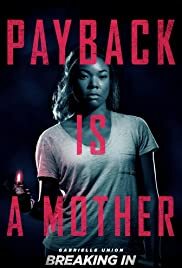 Breaking In is my latest review. As far as 2018 releases go, "Breaking" is equivalent to a home invasion version of Cliffhanger and a less violent model via 2005's Hostage. When I walked into the theater, I paid six dollars for "Breaking's" B-movie quirkiness and B-movie escapism. I didn't witness a cinematic game changer but I got exactly six dollars worth. Fair trade. 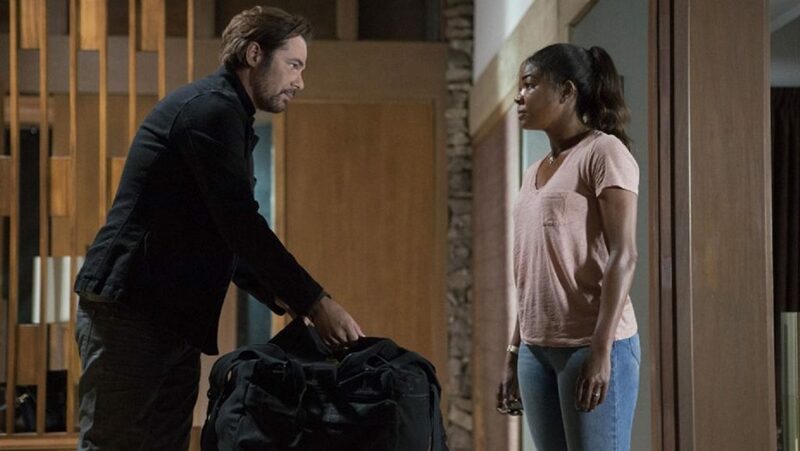 Breaking In is about dimwitted yet likable criminals (especially Eddie played by Billy Burke) and a relentless, purposeful mom. Gabrielle Union plays said mom in the form of realtor Shaun Russell. Russell's estranged father unexpectedly dies and now she has to take her two kids to his Wisconsin mansion. There, she attempts to get the tech-savvy mansion ready for sale as well as settling her father's estate. What Russell and her children don't know, is that some evil robbers plan to break into the abode and steal $4 million dollars from a hidden safe. From there on, all chaos ensues in congenial, cat and mouse form. 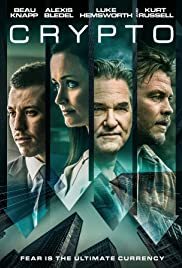 Breaking In at eighty-eight minutes, feels like two, exhausting hours and that's even without a lot of character buildup. "Breaking's" director is James McTeigue and he's the same guy who made the intricate and complicated V for Vendetta. As you watch Breaking In, you wonder why McTeigue would agree to direct such galvanizing schlock like this. What you don't wonder is that he obviously had nothing to do with "Breaking's" editing which feels sloppy and without standard continuity. Heck, you know things are shaky when certain characters beam themselves from point A to point B (how did big, bad Duncan get on that roof so fast?). Scenes in "Breaking" barely flow from one frame to the next and at certain vignettes, it feels like the screenwriters are making stuff up as they go along. For instance, there's a moment where one antagonist stabs another antagonist as he is holding a large bag of dough. Cut to five minutes later and that same antagonist is telling a young victim, "I'm not gonna hurt you, I just want to know where the money is". Huh? In another instance, the young child of Union's Russell grabs a gun off the floor and shoots a bad guy. In the next shot of so, that same bad guy is holding that same gun and he is not wounded in any way. Double huh. Finally, there is mention of the robbers having only ninety minutes to get the safe open until an alarm goes off and the police show up. Trust me, it feels like they ran out of time hours ago due to a large amount of bizarre procrastination. As for the faceless fuzz, well of course in movie land they arrive after all the carnage and mayhem has already been exposed. Oy vey! 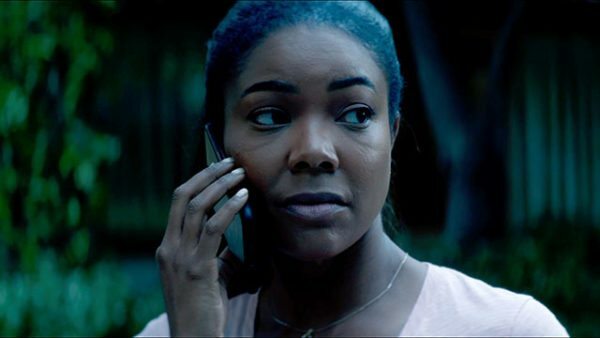 All in all, Breaking In at times, can be a nasty, pocket-sized thriller featuring a stealth heroine in Gabrielle Union. Surprisingly, it has some suspenseful moments and for the most part, it somewhat keeps your Panic Room psyche glued to the screen. The problem is I can't quite recommend "Breaking". You can only polish a turd so much until all the Pledge in "The Badger State" has completely run out. Rating: 2 and a half stars.